Miniature Scenery zeigt wie Mousemuffins ein Schiff in MDF baut: Von der Idee bis zum fertigen Modell. An old pirate boat, that looks like a boat. With cannons, has to have cannons. As with all projects, the first step is research. Books are purchased, google perused and in this case, even another model kit is purchased (a complex plank-on frame model). 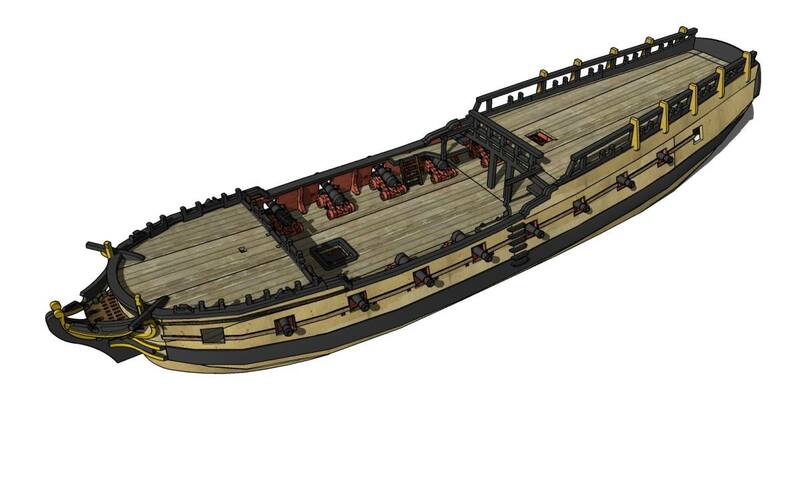 First question: Why are so many existing kits in 28mm to 32mm scale so unlike real ships? Some current kits or the new D&D plastic kit make me very sad indeed. There are some decent offerings out there, but not many. My biggest problems with the available kits is that, for the most part, they are scaled for 25mm, and therefor too small to look correct (more on scale later…) Can I do better? So. I have plans, I have references and a ridiculous propensity for biting of slightly more than I can chew. Lets get started. Pictures show the kind of boat I am aiming for here. This series will be updated whenever there is an update and has no real endtime in mind. Lets build a Boat, part 2. 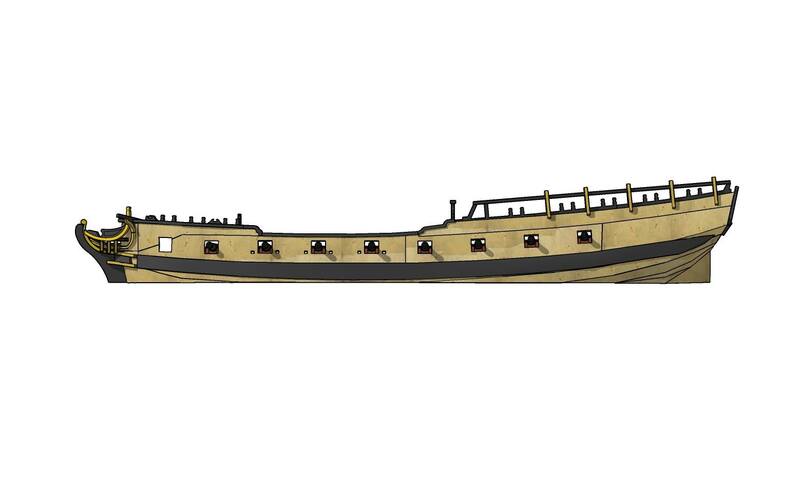 As mentioned earlier, Most ships currently available are somewhat on the small side, being scaled for 25mm, or even 28. Trouble with that is, that many figures available are bigger than that, and once you add a base to them can easily top out at closer to 35mm to the top of the head. 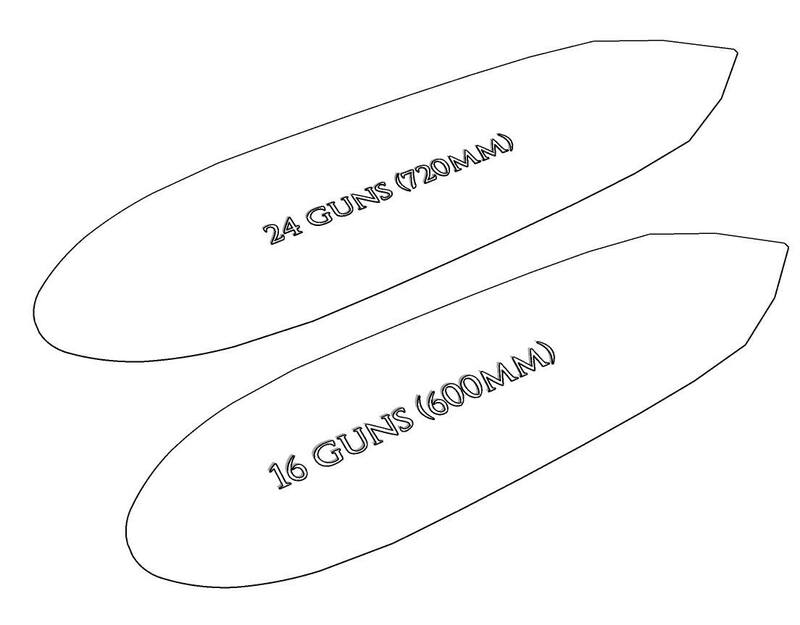 I could go for 1/56, which is generally considered to be proper 28mm, but I’m not sure that would look terribly convincing or allow quite enough room to place said figures about the deck without being ridiculously crowded. So I’m going for approximately 1/50. Lets call it heroic 28mm. Other design considerations include complexity/buildability and as a side effect of that figuring out how much detail to add. Okay, it has to be built largely of 3mm MDF and cardboard. That will limit things a bit. 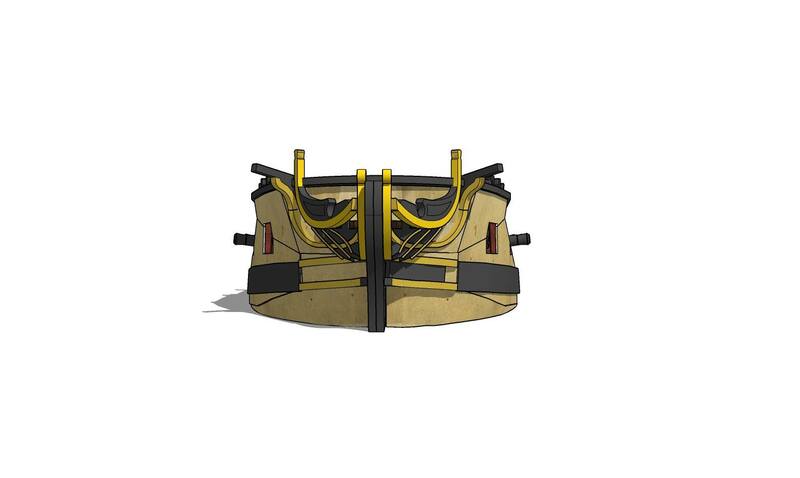 It also has to fit onto our standard material size, meaning no part can be longer than about 320mm. 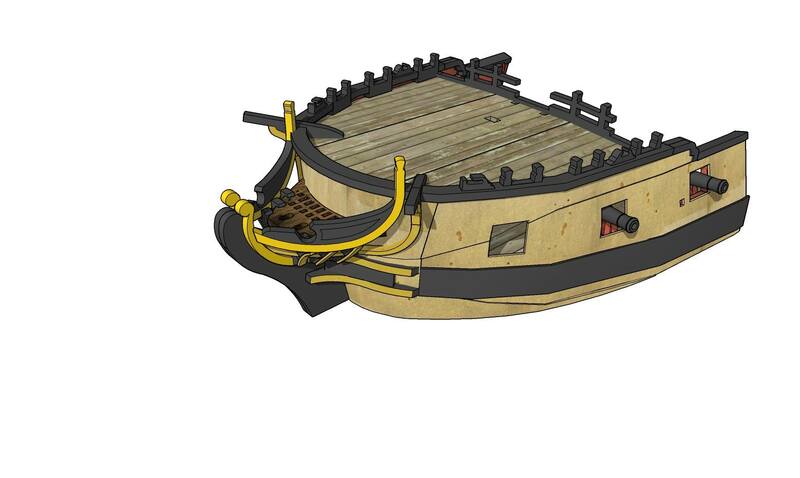 The Swan class works well for this as it won’t require chopping bits up too much to make them fit (the Gun deck will be about 610mm long, for example). 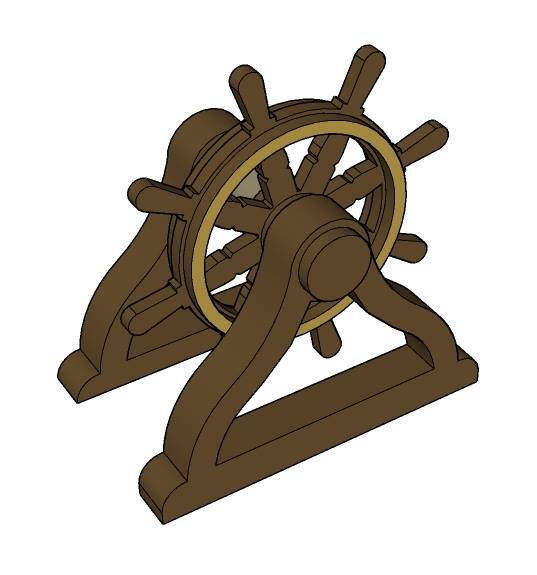 So, Just like all quality shiprights do, I’ve made a wheel. Which would have been fine. 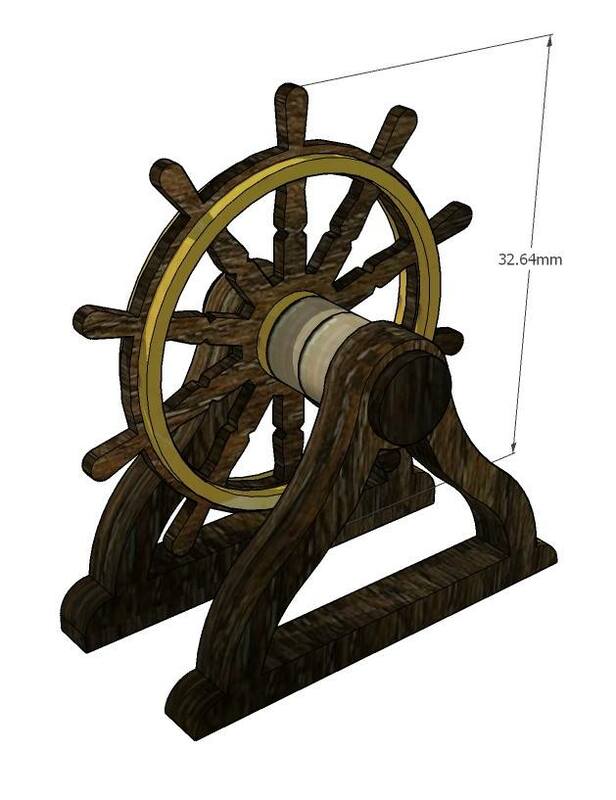 Fine that is until some acidental research shows me that British navy ships wheels were one of the very first standardised elements of ship design, all being 4’6″ across the rim and ALL had ten spokes. I’ll leave you with that before I toddle off to bed. 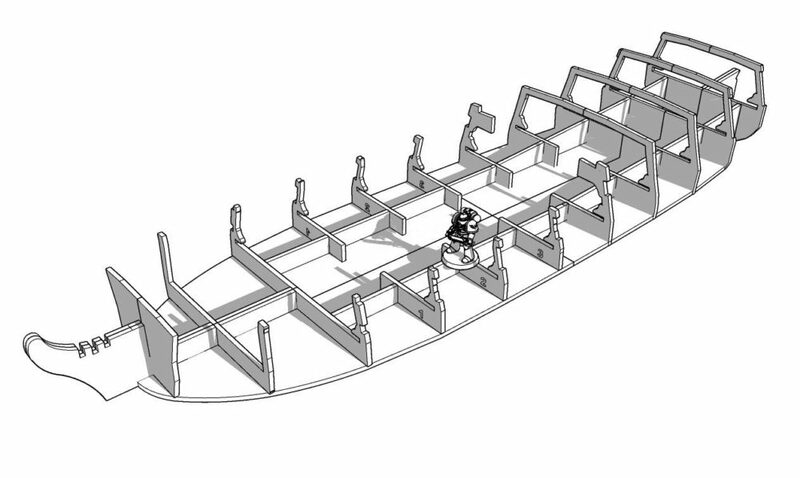 More tomorrow, When we’ll actually have some vaguely boat shaped bits and fewer words. Same boat time, Same boat channel. Lets build a boat. Part 3. Size. or the general bigness of things. 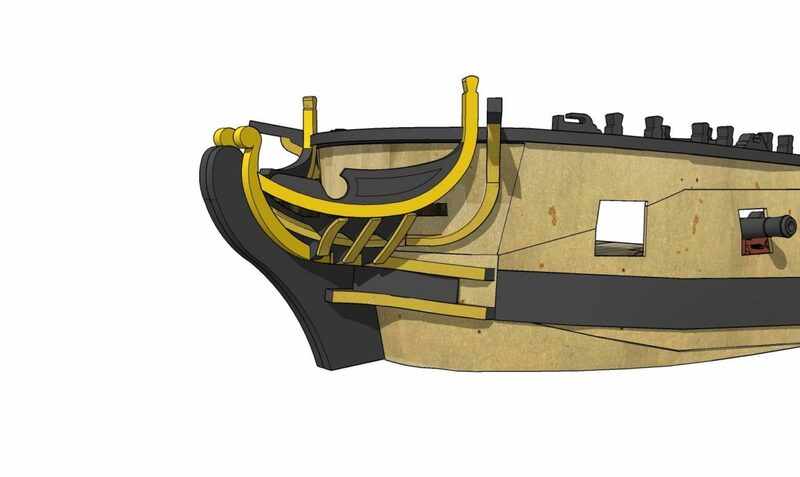 According to my plans and references, the overall length at the waterline, not including the rudder or stem post) will be about 600mm. So lets start there. Next I’ll have to draw up a bunch of ribs, measured carefuly from the plans, which because of the magic of the internet, takes only moments. Lets Make a boat. Part 4. Gundeck. 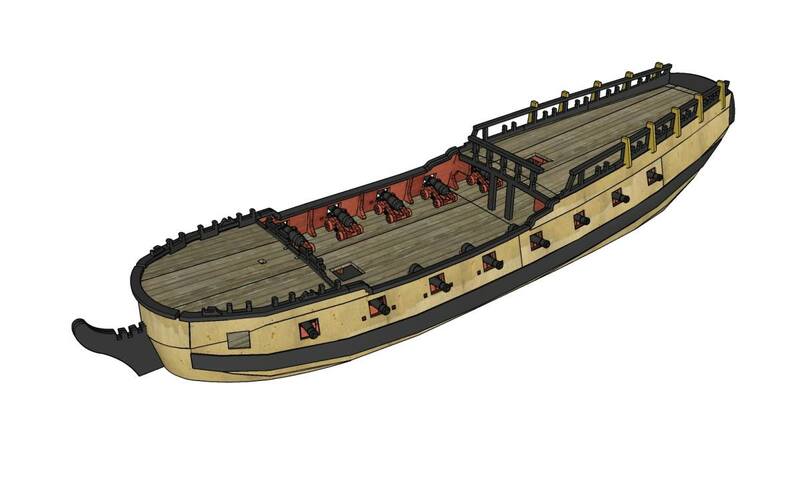 The deck on which most of the guns are placed. It’s a Nautical, technical term. 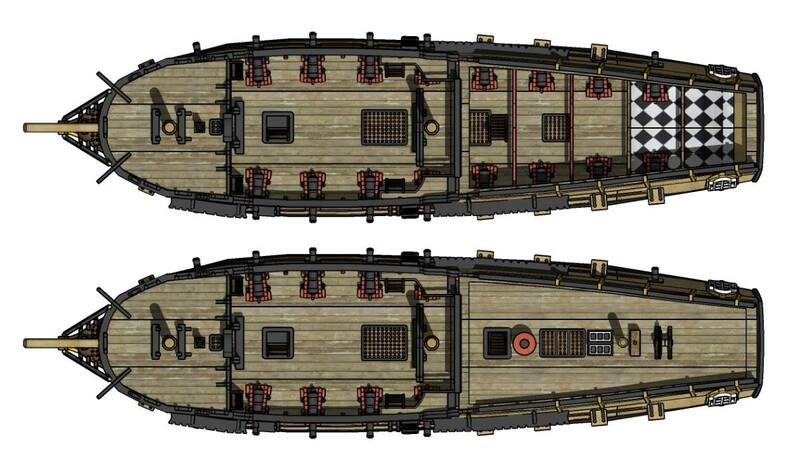 Also added the fore-deck and quarterdeck. Sadly, There’s no poop-deck in this design, so childish giggling will have to be kept to a minimum. I’m going to attempt to leave the quarterdeck removable, but we’ll see how that turns out or indeed how practical that’s going to be over time. I’ve started wrapping this puppy up with what will eventually become 1mm thick card. This is kinda the make or break bit. The bit where I figure out if I can replicate the curves and lines without things becoming so complex that it becomes impossible to build. I *think* this is working…. 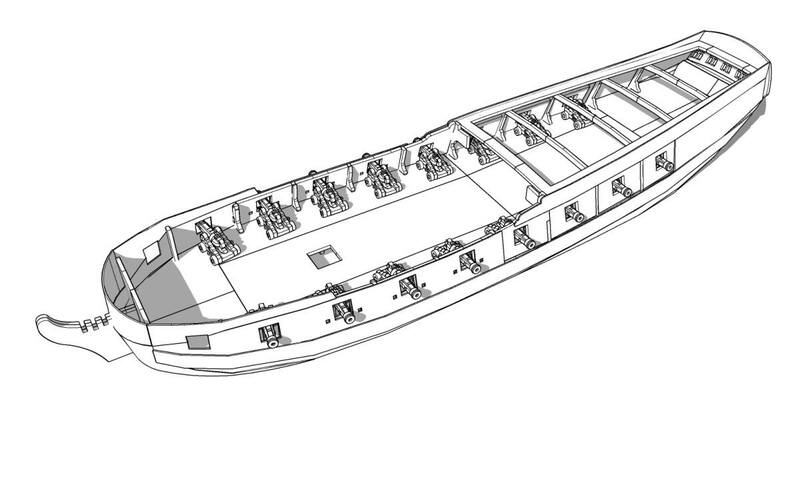 The curves under the stern will be the trickiest bit. I’ve made some cannon. 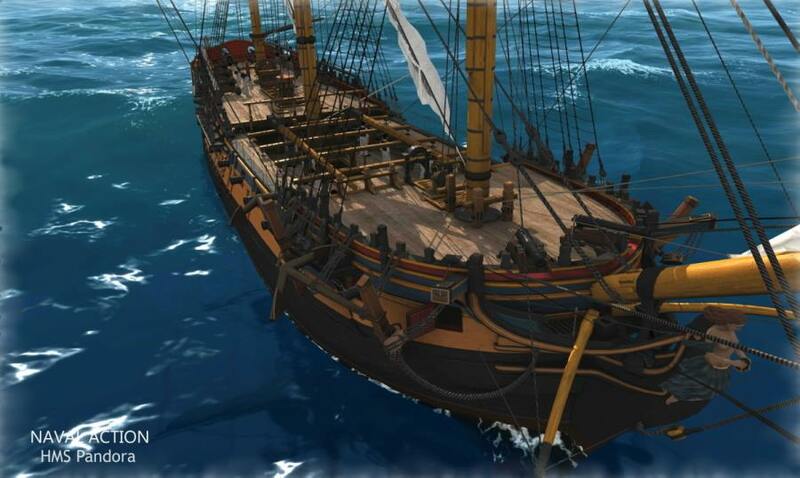 A sixteen gun sloop of war has, oddly enough, 16 guns. 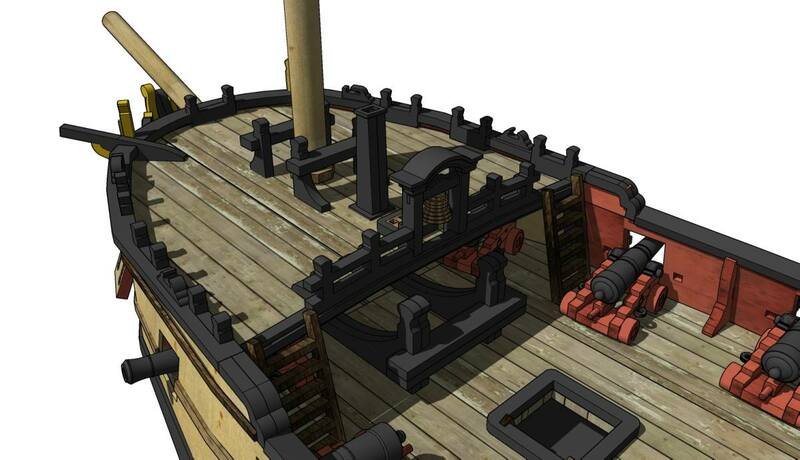 Even more oddly though, it has 18 gun ports, as apparently the two fore gun ports were rarely used. The Boss and I Think we may offer an option at checkout for MDF cannon, which are okay but a bit limited in appearance dues to material, but cheap, or fancy resin (or possibly metal) cannon, for the monetarily blessed. No idea on the cost difference yet, I’m looking into it. Note also I’ve added some lining to the bulwark sides to thicken them up a bit and to help support the card sides. ets build a boat. part uhhhmmm…. 6? I’ve added most of the railing and capping strips and thrown a bit of colour on. The decks will eventually have engraved planks and wot-not, but this texture will do for now. Next I’m going to tackle the head timbers. Okay, confession time. I finished these last week. And they took a whole day of frustration and swearing. Turns out trying to build a bunch of shapes that turn in five different directions at once is difficult in MDF. Who’d a thunk? 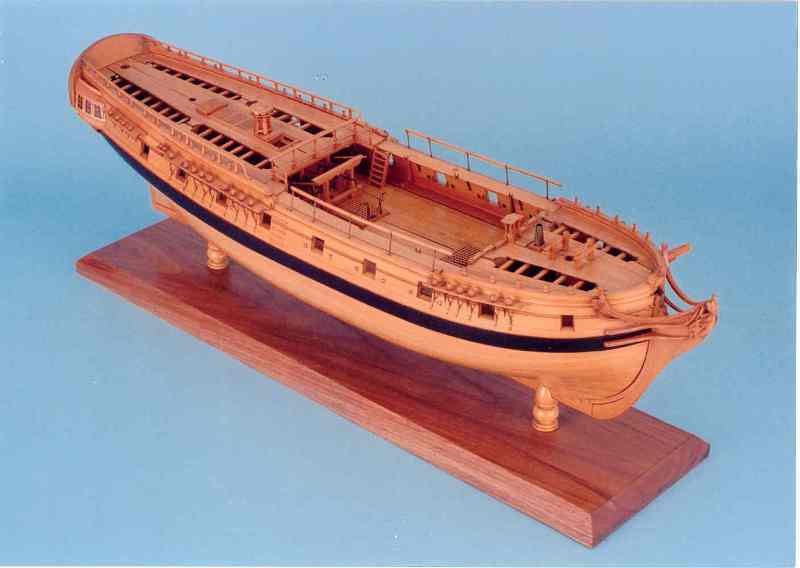 The Head Timbers are a very distinctive part of ships of the time. 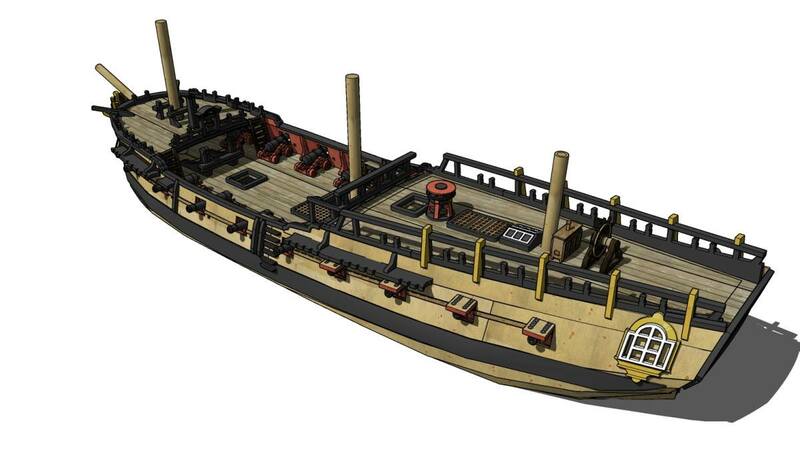 I don’t think I’ve seen any wargaming ship model that has them quite right. I don’t either, but I think I’ve gotten closer than most. Many of the bits still need a bit of trimming to fit properly. No figure head yet, that will come later. Belfrys, Binnacles and skylights, oh my. Getting close to done now. At least for the base kit. 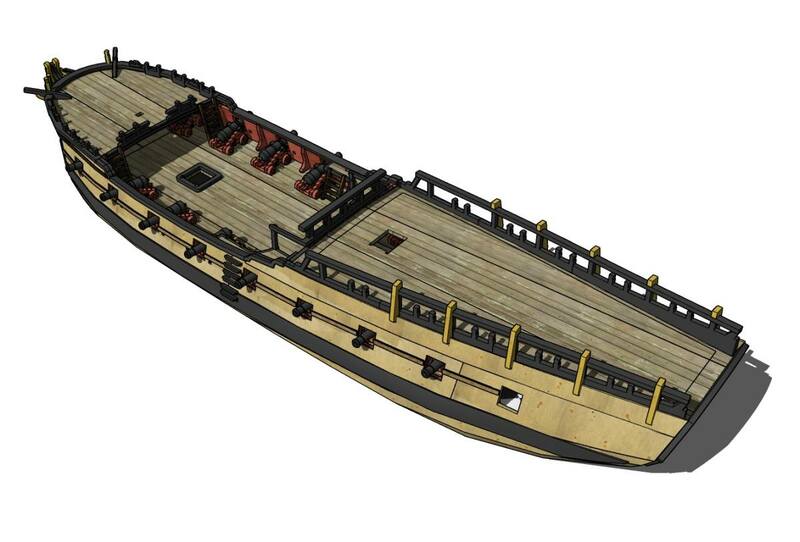 Going to add some basic detail around the stern and the chainplates. Also turns out I cant add the extra cannon at the rear, as they will interfere with the aforementioned chainplates. Sadness. 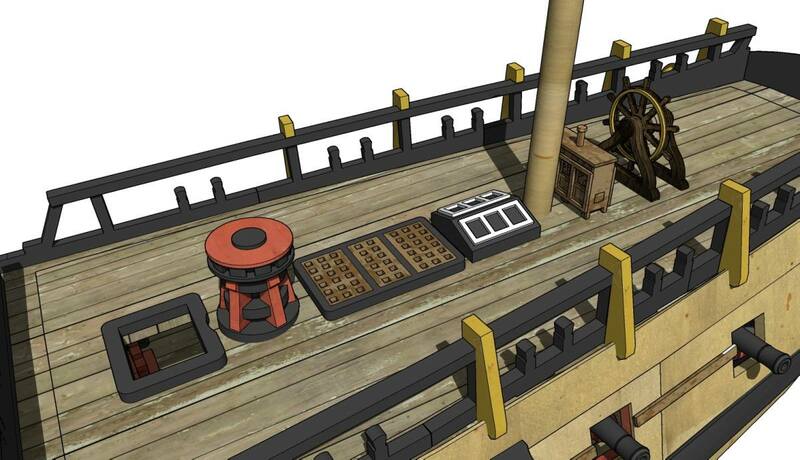 There’s a few things to add under the quarterdeck, like the temporary wall in front of the captains cabin and the lower capstan. There’s supposed to be an oven under the fore deck between the bitts too. I’ll do a basic representation of that as well. … die Reihe wird fortgesetzt. Sieht echt gut aus. Ob das Schiff wohl groß genug wäre für eine Partie Freebooters Fate? Klingt wirklich gut, ich gehe aber mal davon aus, dass das Schiff als einzigen Schauplatz für FF zu klein sein dürfte. Aber im Hafen liegend, sollte es gut bespielbar sein. 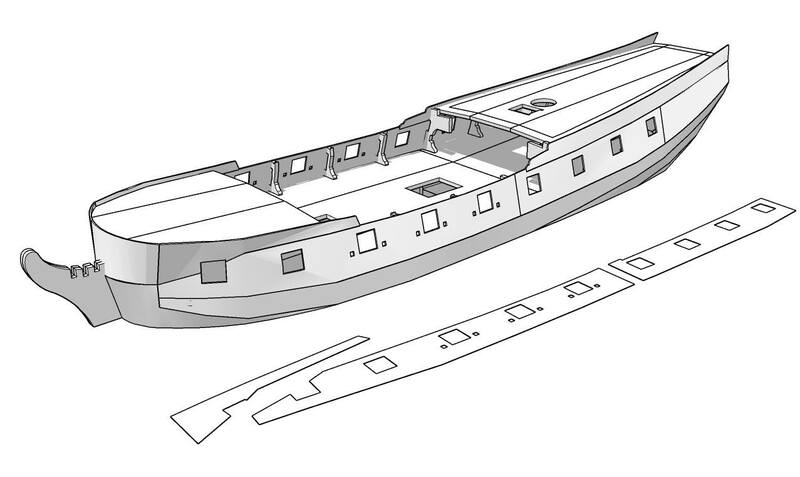 Oder Du nimmst zwei und spielst ein Enter-Scenario, wo die Schiffe längsseits liegen und mit Planken verbunden sind, sowie zu Wasser gelassene Beiboote die die Enterung unterstützen. Bin gespannt wie es dann fertig aussieht und wie die Maße sind. Bisher hat MS immer sehr gut bespielbare Sachen rausgebracht.